A4 Architects in Bar Harbor, Maine is an established multi-disciplinary, internationally experienced firm of design professionals practicing in the areas of residential, commercial and municipal architecture, interior design, planning, graphic design and planning. 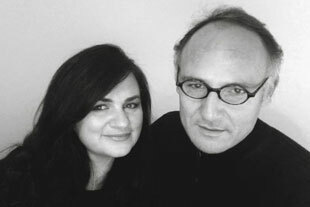 Partners Kay Stevens Rosa and Augusto Rosa founded A4 Architects in Bar Harbor, Maine in 1999. In their more than 25 years (each) of professional experience, they have collaborated on projects for the 1992 Olympic Games in Barcelona prior to practicing in Maine for nearly 20 years. 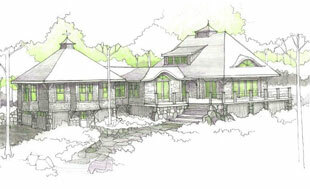 A4 Architects is a member of the American Institute of Architects and the US Green Building Council. A4 partners hold licenses in Maine, Florida and Brazil and are LEED trained. A4 recognizes that each project necessitates a unique response to context and client. Drawing from varied experiences of two architects, multiple design approaches are always offered that address multi-faceted program requirements, aesthetic directions, site characteristics and sustainability. Varied schematic design directions provide clients with alternate, yet relative, solutions to explore and enhance a project's possibilities. Emphasis is placed on thorough communication and consistent dialogue between the Owner, Builder and Architect. A4 embodies progressive design, production and project management technologies into an open office environment that fosters a collaborative participation in each project, large or small. A co-founder of A4 Architects, Kathleen Stevens Rosa seeks in her work to achieve responsive architecture: buildings that reflect the synthesis of their site and context, their owner’s personalities and lifestyles, and appropriate relationships among society, technology, space, light and materials. Her interest in architecture was spawned by her frequent travels and exposure to diverse cultures as a child. She chose to study architecture at Auburn University, where she earned her Bachelor of Architecture in 1989. Kay is a member of the Bar Harbor Planning Board (Chair) and has served as a Board member of Habitat for Humanity and is a member of the Eastern Maine Technical College CAD Steering Committee. Kay is a LEED trained professional and a member of the US Green Building Council. A co-founder of A4 Architects, Augusto Rosa is an architect with far reaching skill and experience. His tremendous sense of spatiality and vision combines with a superb understanding of clients to create innovative, comfortable and delightful architecture. Augusto’s expressive ability to meld the essence of a person and a place makes him a true asset to the firm. Augusto completed his Bachelor of Architecture degree from the Universidade do Vale do Rio dos Sinos, in Sao Leopaldo, R.S., Brazil. He holds two Master’s degrees and has also finished coursework for his Doctoral degree and completed his Doctoral Thesis.